Vibrating from this astonishing diamond engagement ring is a spectacular display of fire and luster that will mesmerize you. 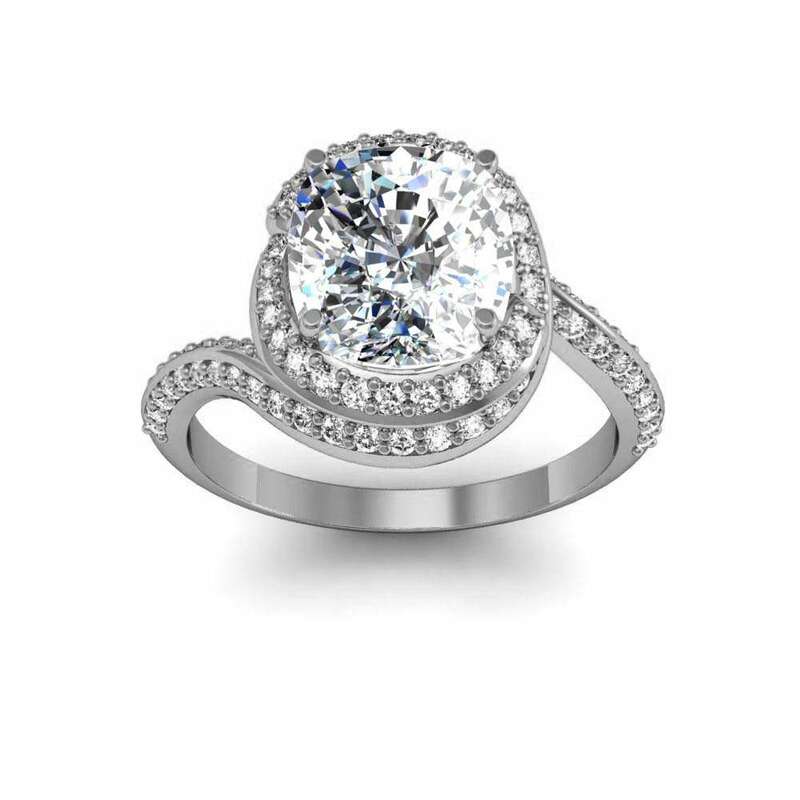 Surrounding the center stone are a stack of smaller, micro pave set, round cut diamonds that produce a glowing halo around the main stone. 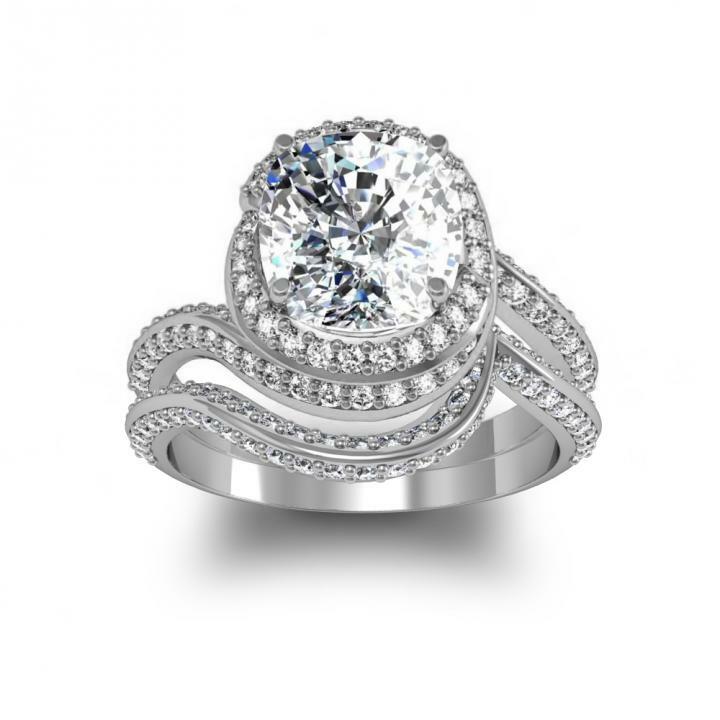 The shank of this engagement ring fits against the halo setting with a mild curve like a puzzle piece. This very gorgeous and popular setting is available for 18k White/Yellow Gold and Platinum upgrade for the more particular. With Diamond Mansion's Rings, You can Walk down the aisle in style!